By Strata Drilling Group based in Markham, ONTARIO (CANADA). With their know-how and high-tech facilities, our Research Centers worldwide are closely involved in the development of new processes using lime in industry. Our R&D departments also constantly strive to improve our current products and to develop new ones, through close co-operation with our customers. By Lhoist Group based in Limelette, BELGIUM. 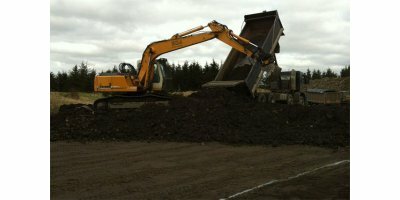 Sumas Environmental Services Inc. (Sumas) is the only full service environmental contractor in western Canada to independently offer such a wide range of services, including site remediation, on and off site water treatment, on and off site soil remediation and disposal, and hazardous waste handling and disposal. Remediation Sanctus can design and implement a range of bespoke in-situ and ex-situ treatment technologies to remediate the soils on your site. This can include the excavation of contaminated soils and formation of windrows for treatment using bio-remediation technology, which will break down contaminants using micro organisms. By Sanctus Limited based in Gloucestershire, UNITED KINGDOM. By Alpha Terra Engineering, Inc. based in San Antonio, TEXAS (USA). By Solution STF based in Burlington, ONTARIO (CANADA). By SAKAB AB based in Stockholm, SWEDEN. 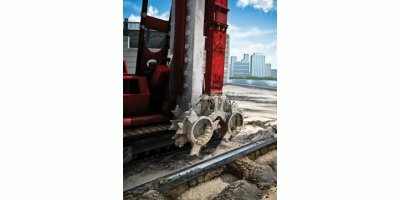 Large-scale soil remediation projects often require a site specific approach. It is often more economical to set up the soil treatment infrastructure on site, hereby reducing the logistic costs. In recent years, Sita Remediation has executed many projects in this way. 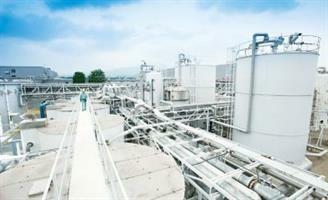 By SITA Remediation N.V. - a subsidiary of Suez Environnement based in Grimbergen, BELGIUM. By Diemme Soil Washing S.r.l based in Lugo - RA, ITALY. By Soil Solutions, LLC based in Hopkinton, MASSACHUSETTS (USA). To evaluate the chemical content of soils, aggregates, peats, organic and other materials ESG provides a range of tests. Water Treatment Programs. Boiler / Cooling / Waste Water / Process. Water & Soil Sample Analyses. Phase I & II Site Assessments. By EcoSure, Inc. based in Mesa, ARIZONA (USA). By ORIN Remediation Technologies, Inc. based in Verona, WISCONSIN (USA).